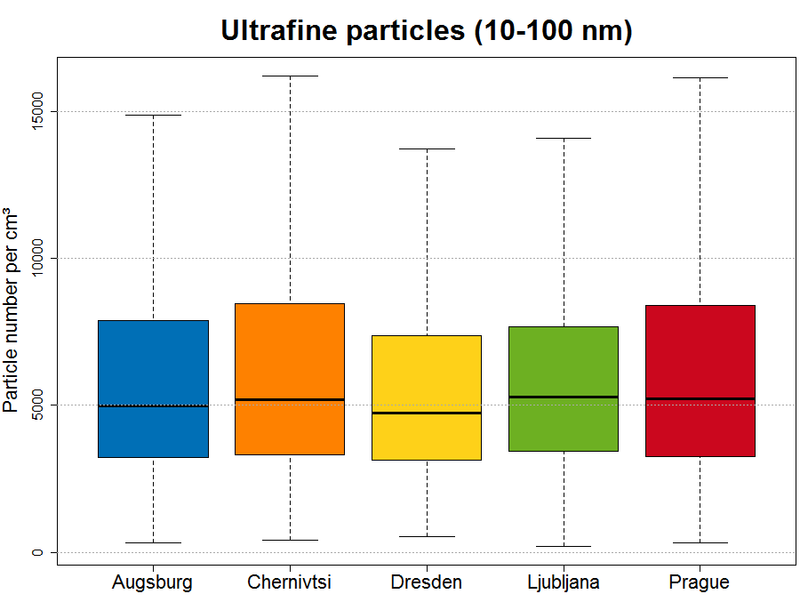 Measurements of particle number concentration of ultrafine particles in ambient air in Ljubljana in period May 2012 -April 2014 is comparable to concentrations in other four European cities. 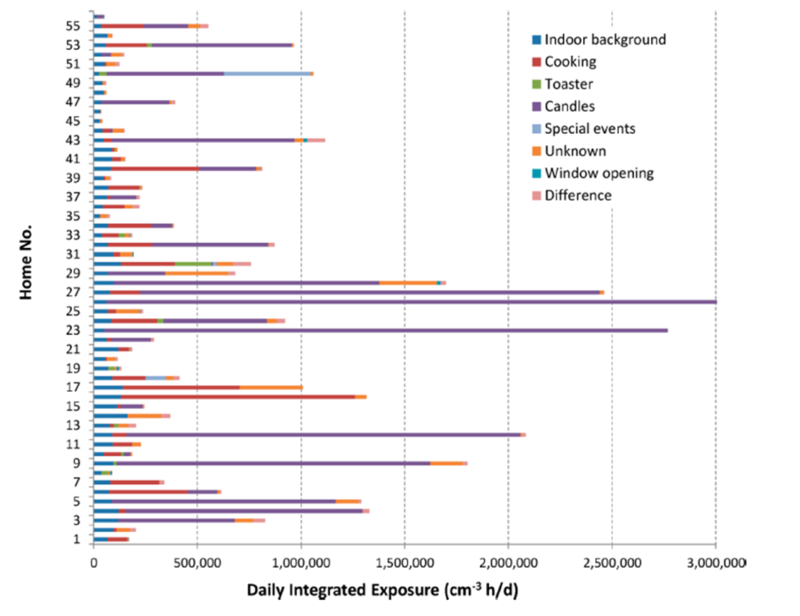 Exposure to ultra-fine particles in the indoor air is roughly comparable or even slightly higher than exposure to ultra-fine particles in ambient air. 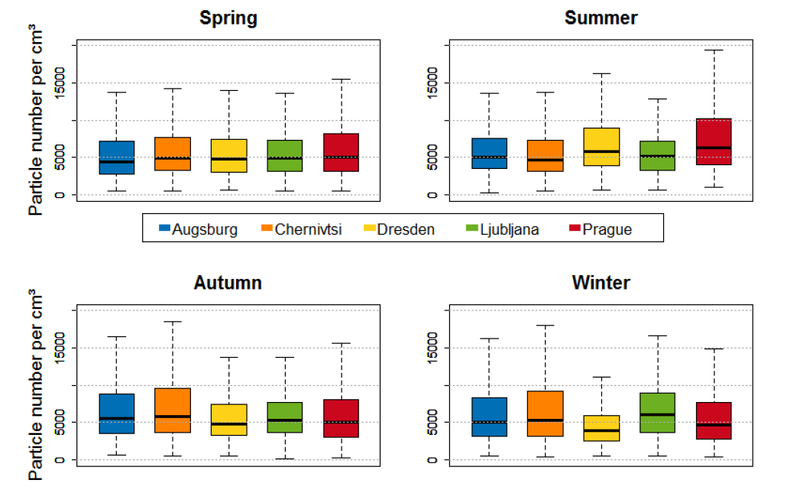 Footnote 1: Chernivtsi, Ukraine from January 2013 to December 2014. 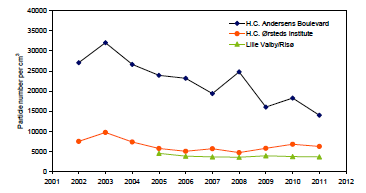 Footnote 2: The median is shown as the black line.